I've been on the hunt for a simple decanter. I didn't want cut glass, or a weird shape. If I did find something I liked, it was way too expensive. So, I made my own, and it was cheap as hell. Links for the carafe and glass are in the supply list. I recommend getting the same kind, for a good fit. Same goes for the sticker paper, this was the only one that was actually clear. Step 1: Clean the glass. The sticker paper isn't waterproof, so make sure you do this step first. Step 2: Print your label, I let it dry for for a few hours... better safe than sorry. Step 3: Put the sticker on, it helps to put it on like a band aid. Fingerprints will be real obvious, so be careful. Like I mentioned, the sticker paper is not really waterproof. Keep that in mind when you're cleaning your decanter. STEP ONE: MAKE CARD-STOCK PAPER CONES. ALSO MAKE A WAX-PAPER CONE FOR THE INSIDE. STEP TWO: MIX CONCRETE. SLOWLY ADD WATER TO THE MIX, IT SHOULD LOOK LIKE BROWNIE BATTER. YOU WANT TO SPOON IT IN THE MOLD, NOT POUR IT. I USED EMPTY JARS TO HOLD THE CONES UPRIGHT. STEP THREE: REMOVE THE TREES FROM THE MOLD. MY TREES SET IN ABOUT AN HOUR. STEP FOUR: LET THEM DRY OVERNIGHT. 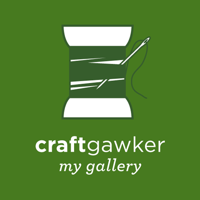 PAINT THE BOTTOM PORTION OF THE TREE AND HOT GLUE A FELT SQUARE THE BOTTOM. I PLAYED AROUND WITH COPPER AND GOLD. I PERSONALLY LIKE THE COPPER BETTER. 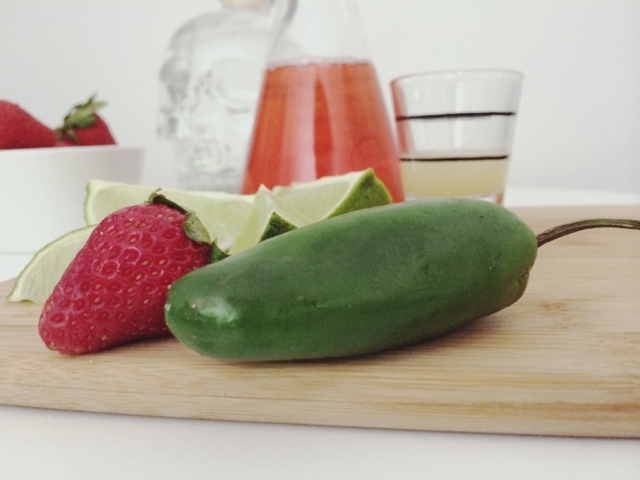 Meet the Strawberry jalapeño cocktail, my new summer staple. 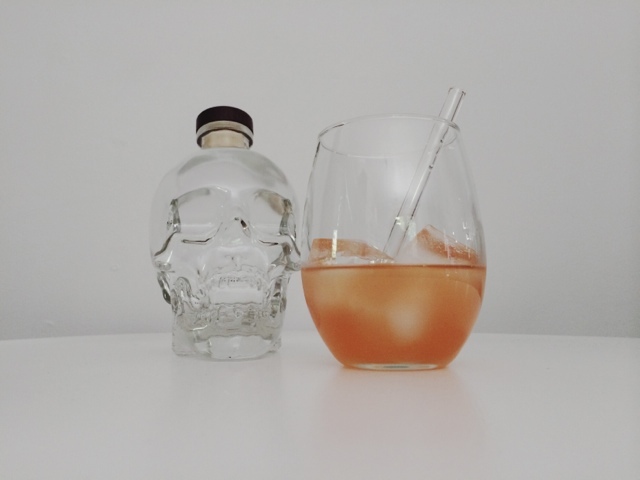 Like my Ginger Pear Smash, you need to make a simple syrup. Combine sugar and water in a small saucepan and simmer over medium heat, stirring until sugar is completely dissolved. Add strawberries and jalapeño, simmer over low heat for 15 minutes. Allow the mixture to cool, strain, pour into a clean container with a tight-fitting lid. Keeps in the refrigerator for three weeks. 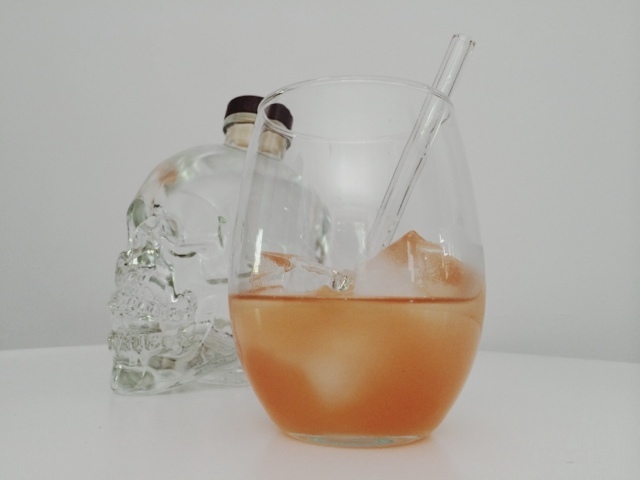 In a cocktail shaker, add all three ingredients. Fill the shaker with ice and shake well. Strain into a glass, with fresh ice. 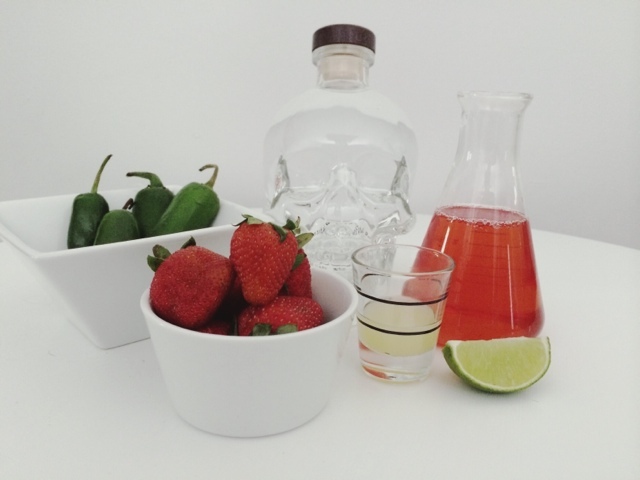 I kept this drink super simple, three ingredients, no garnish needed. If you want to make a pitcher, change ounces to cups. Special Thanks to my friend Alice, she gave me the Crystal Head Vodka. 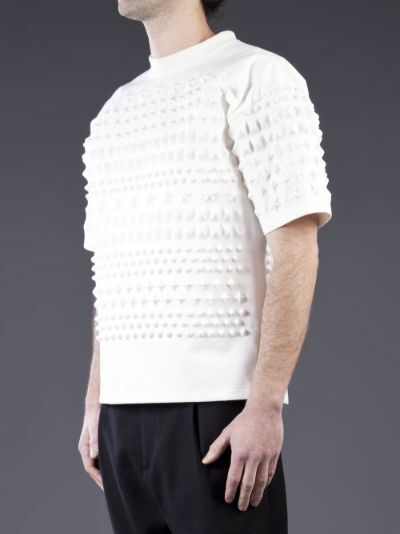 I fell in love with the texture and shape of these $700 Juun J t-shirts. So, when I found this $16 dotted swiss fabric, I had to make a top out of it. I used an old t-shirt to make my pattern. If you don't have one to waste, Burda Style has an inexpensive pattern to play around with. Step 1: Cut up a t-shirt to make your pattern. I wanted a raglan sleeve, so I cut accordingly. Open up the sleeve and body seams. I transferred this to paper, just so I could save it. Step 2: Cut out your pattern in the new fabric. For the sleeve I used a cotton waffle weave. Sew the sleeves to the body. Step 3: Right sides facing, sew up the inside seams. Step 4: Now for the neckline... Here's the formula, you'll need to measure the neck, mine was 23"
Step 5: Cut out your neck band. I went on the bias, two inches wide. Step 6: Right sides facing, stitch ends closed. Fold in half, turn right side out. Step 7: Pin and stitch to the shirt, raw edges together. I used a stretch zig zag stitch. I'm going to start this post out by calling myself out... Seasonal Affective Disorder has had its way with me. Sorry for the lack of posts. This bag took a few attempts. So I also apologize for not having photos for each step. I kind of lost the motivation after I scraped the second bag. 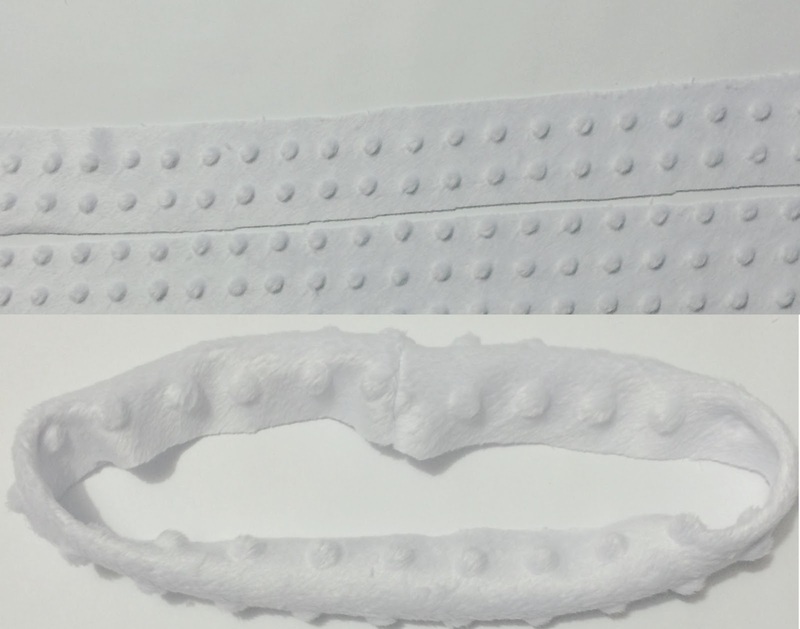 Links will be in the supplies so you can be sure to get the correct sizes. Few notes on the supplies. What does NOT work on this bag. Don't glue the hinge on and don't use brads(hinge is too heavy). Blank pin backs work perfectly, I think thats what they're called. My niece is in the Army Reserves, she calls them "Damn its" because they fall off in basic training all the time. They worked great for me. I'll update the post in a month or so and let everyone know if they're still on. Again, I apologize that I didn't photograph each step. Basically you're making MADE: DINO on a larger scale, without the bottom seam. STEP 1: Cut the vinyl to the size you want. If you like the size of mine, its 16.5" x 34"
If you don't want a lining make sure you clean up the seams. Pinking shears work great. 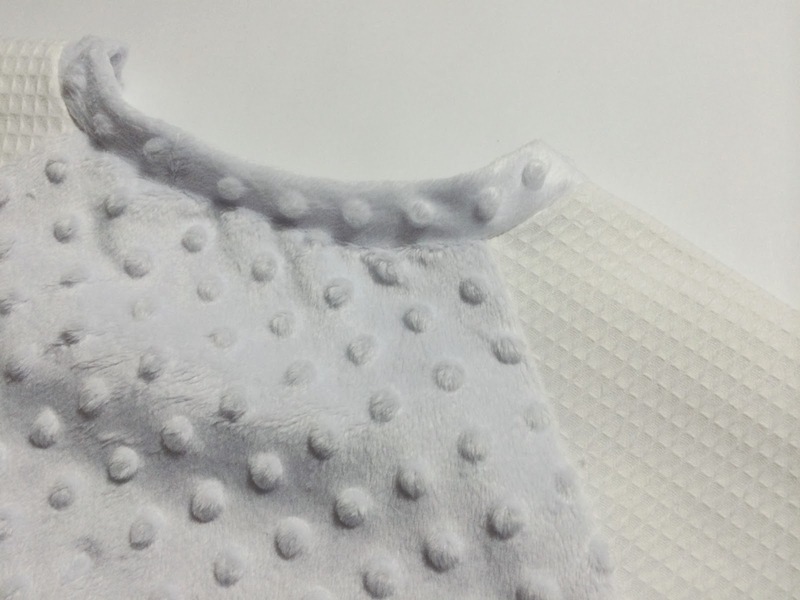 The top seam will be exposed, lining or not. STEP 2: Sew up both sides of the bag, square off the bottom corners. STEP 3: Cut you leather strap in half. Fold it in half width wise and stitch it down. Leave about an inch on each end. Go slow and use a needle made to go through leather. STEP 4: Place the handles(facing down) where you would like them on the bag. Mine are 4 inches from the seam. Hold with a paperclip and stitch them down. Use a pretty aggressive stitch. You don't want the handles to rip off. 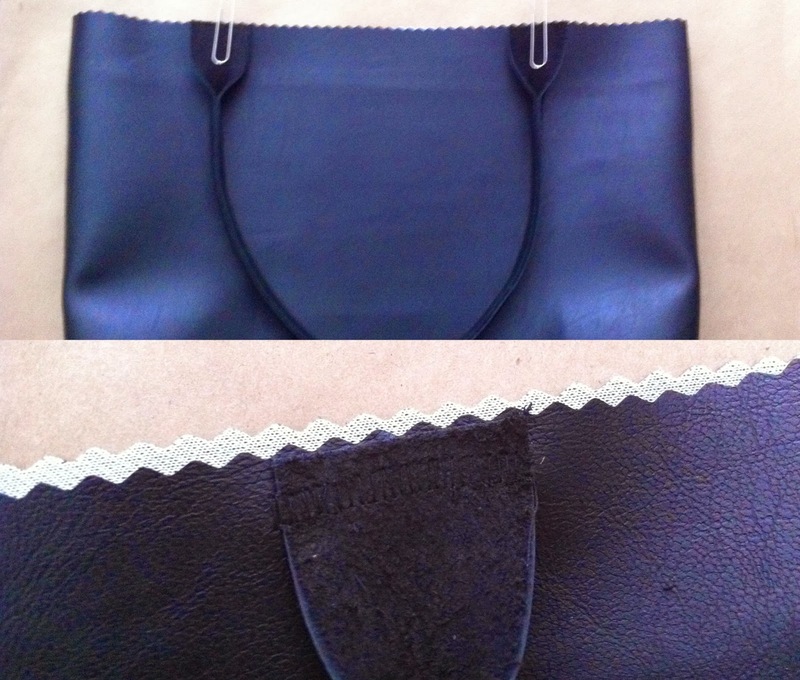 STEP 5: Cut out your lining, it should be the same size as your bag. Sew it up the same was you did the bag. STEP 6: Pin the door hinges on the sides of the bag. The pin backs should be on the inside of the bag. STEP 7: Slide the lining in the bag with wrong sides facing. STEP 8: Fold the top seam down about an inch. Paper clip it in place and top stitch all round. 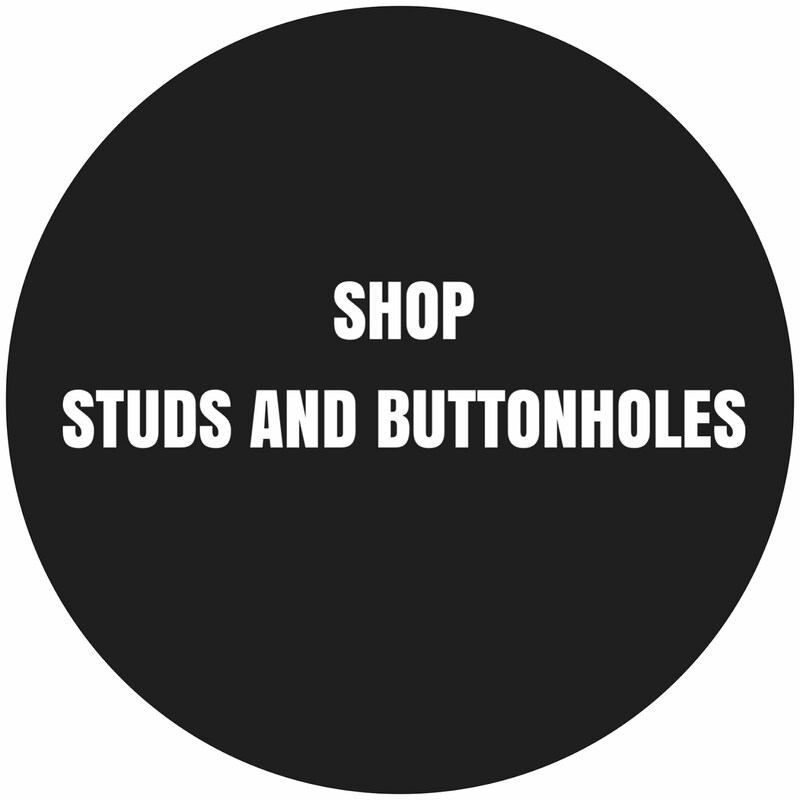 All photos and intellectual property, unless otherwise noted, belong to Studs And Buttonholes. Please do not repost tutorials without linking to the original post. All tutorials are made for individual use.